Apple opened pre-orders for iPhone 7 and iPhone 7 Plus last Friday at 12:01 a.m. Pacific Time, and T-Mobile has now revealed that the smartphones shattered all of the carrier's previous iPhone pre-order records. T-Mobile said pre-orders from Friday through Monday were up nearly 4x compared to the iPhone 6 series two years ago. T-Mobile also announced the iPhone 7 and iPhone 7 Plus set a single day sales record for any smartphones ever in the carrier's history, although it stopped short of sharing any specific numbers. iPhone 7 was already T-Mobile's top pre-registered smartphone ever, topping pre-registrations for both iPhone 6s and iPhone 6.
iPhone 7 and iPhone 7 Plus will be available beginning September 16 at T-Mobile stores in the U.S. and on its website. Its prepaid brand MetroPCS customers will carry the smartphones beginning September 23. iPhone 7 and iPhone 7 Plus models from AT&T and T-Mobile do not support CDMA networks such as Verizon and Sprint. 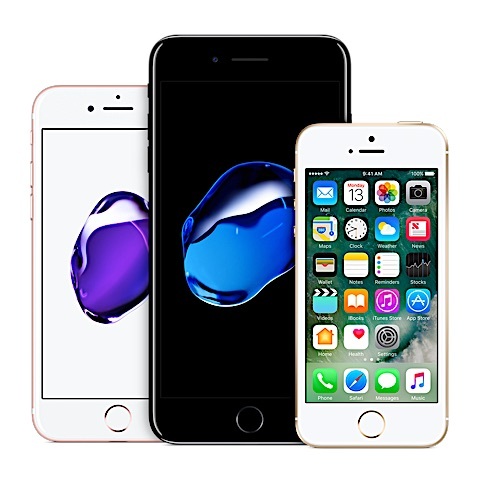 T-Mobile is offering a free 32GB iPhone 7 to new or existing customers who trade in their fully functional iPhone 6 or later sans water damage or a shattered screen. A two-year financing agreement is required. iPhones have been successful since June 29, 2007 and this year will be more continued success. Well sign me up, because my wife told me "NO"! So much for the wake up, have breakfast, and order sometime in the early afternoon that some MR forum member stated. 3 words... "artificially limited supply" LOL so much for big bad Apple taking phones away from people. Actually, just like every other year, the websites couldn't handle the millions of people trying to get on them at the same time. I'm not too surprised. They're practically giving away iPhones, and also T-Mobile has grown a lot as a carrier in the past couple of years so breaking records is not unusual. In fact I'd be surprised if they didn't break records at this point. Even AT&T and Verizon have been in lockstep with T-Mobile's offers, bringing out similar (if inferior) promotions. I'd have switched to T-Mobile by now if they didn't have coverage issues in a few places I frequent. Wasn't everyone saying the 6s was a stupid update and everyone with a 6 was waiting for the 7? It's all up to the consumer. And, when the galaxy hits the news with exploding phones and lawsuits from a phone blowing up in a child's hands, that can only help sell more iPhones. Interesting side note. The phone that blew up in the child's hand was a Galaxy Core. That may explain why at least one airline is asking people to turn off all Samsung phones.